The mother of two toddlers missing since September says they are still alive and that she was willing to take police to their location, it was revealed in court Thursday -- but a judge said he doesn't believe she is competent. 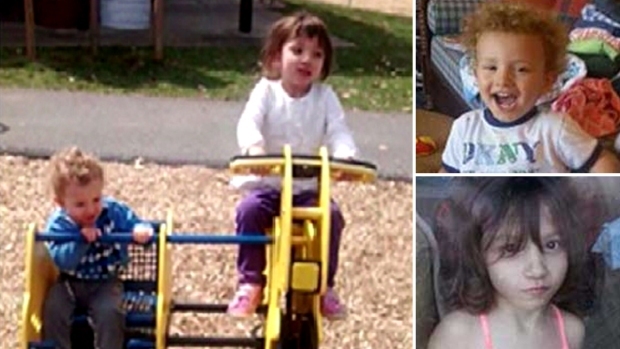 Police have said they are building a homicide case against Catherine Hoggle, who for nearly two months has refused to reveal the whereabouts of 2-year-old Jacob and 3-year-old Sarah. Hoggle has been diagnosed with paranoid schizophrenia, authorities say. In court Thursday, a prosecutor said Hoggle had told her mother and the children's father, Troy Turner, that she was willing to bring police to her children's location, reported News4's Pat Collins. The mother of two toddlers missing since September has said they are still alive and that she was willing to take police to their location, it was revealed in court Thursday -- but a judge said he doesn't believe she is competent. News4's Pat Collins reports. "She said that she wanted to show the police where the kids were," Turner said. "I asked her how come she doesn't show me, I'm their father, I could pick them up, and then she said that it wouldn't do anything for her to show me, that she needed to show the police herself." Hoggle's mother, Lindsey Hoggle, said last week her daughter told her she wanted to show police what she did with the children. "Catherine did call me and request to speak to the police," Lindsey Hoggle said. "She wants to give an answer on these children." However, a lawyer for Hoggle said she does not want to go. "I represented on behalf of my client that she does not have the desire to go and meet with police," defense attorney David Felsen said. The judge in the hearing said he doesn't think she is competent and will not sign an emergency order to let her go with the police to look for the missing children. The Maryland Misisng Person's Network joins the search for Jacob and Sarah Hoggle. News4's Derrick Ward reports. Hoggle has continued to claim her two youngest children are still alive. 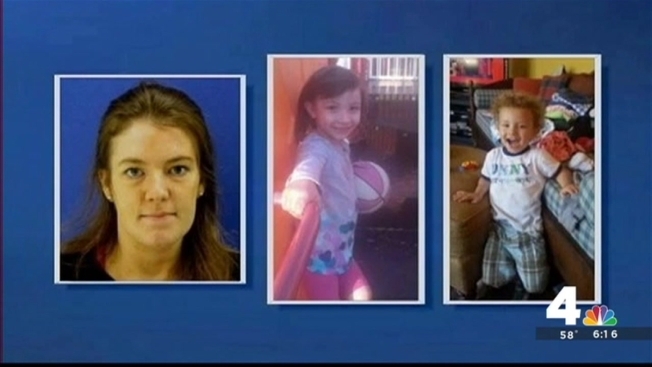 She is charged with two counts of child neglect and with obstruction and hindering the investigation into the children's disappearance, but Montgomery County police have said they believe the children are dead and are pursuing a homicide case against her. Turner was in the courtroom Thursday, as was Hoggle's family, but there was no eye contract between Hoggle and her family. Jacob Hoggle was last seen Sept. 7 at Catherine Hoggle's mother's house. Hoggle borrowed her father's car and told her parents she was taking the little boy to get pizza. She returned three hours later without him, telling her parents she dropped off Jacob at a playmate's house. Police later determined that Jacob had never been at a friend's home. Sarah Hoggle was last seen early the following morning, when Hoggle told Turner, her common-law husband, that she was dropping off the child at a daycare center. When she returned home three hours later, she told Turner that she had taken both Jacob and Sarah to the unknown daycare. Police say that Turner, who works nights, hadn't known that Jacob had never come home after visiting his grandmother's house. 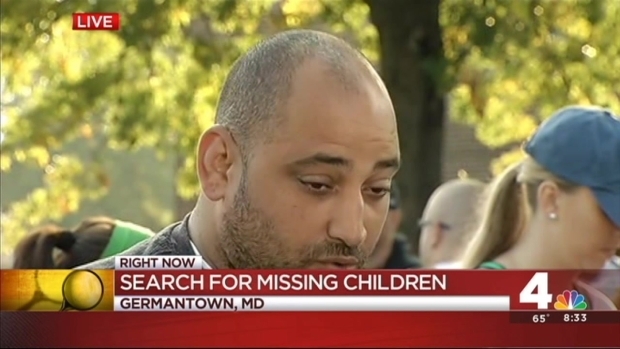 The father of two missing children pleads for their safe return. Later that day, when Turner asked Hoggle about picking up their children from the daycare, Hoggle would not tell him where they were. Hoggle herself then disappeared for several days after Turner tried to take her to police to report the children's disappearance. She was later found with an altered appearance and arrested.